I do not know whether many Denizens will agree with me, but I also put about as much stock in "franchise injury woes" as I do in Poseidon. To me it's not all so feasible that Jerry Dipoto didn't bring Angels training secrets along with him, that Servais didn't bring Rangers secrets with him, even that Healy didn't bring A's training secrets with him, etc. David Phelps threw 4.0 IP for us this spring and 8.2 IP last year (in six weeks). Gifted as he may be, a gift that cannot survive 8 IP in six weeks isn't one that provides the basis of a world championship. Be honest with you, my own reaction to David Phelps was never anything more than a fairly large shrug. He fans 10 men per game and walks 4, meaning that he's Jeff Nelson in an off year. Jerry Dipoto stated last year that "our bullpen was so different without him" but by that time the entire pen was sucking wind. Notably, Nick Vincent had a 6 K, 4 BB ratio and an 11.42 ERA. Zip was a September catastrophe at 3 K, 13 BB and a 13.50 ERA. Pazos had an 8.31 ERA. Easy to say the bullpen looked different when the one fresh setup man -- Miami had managed Phelps' season conscientiously -- goes down with an injury. For those who just joined us, a September pitching injury is the baseball equivalent of a ruptured Achilles' tendon on a football cornerback. Occasionally people come back from it, but the shot-callers running the teams are mostly sitting around waiting for the next big DL strike -- probably, in training camp. GM's do not like pitching injuries that happen just before the winter. Anyway. Maybe you were a Phelps fan. I kinda never noticed he was here, never expected much from him if was gonna be here. That's just me. Tuffy Gosewisch says that Dan Altavilla is throwing 99-100 MPH (?!) and that suddenly he is throwing his slider against his fastball with equal alacrity. In other words Altavilla is happy to throw his slider in any count, 2-0, 0-2, whatever. Dr. D found both claims to be rather snake-oily, but this pitch chart from 2017 came as a pleasant surprise. Well, okayyyyyyy then. 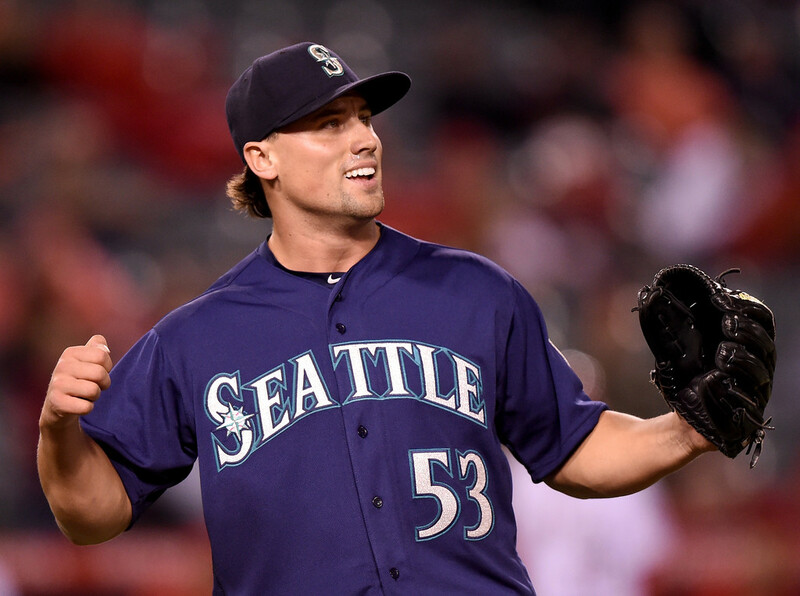 Next Man Up: Phelps out, Altavilla in. And there's a empty slot at #7. Was never super sure about 8 relievers anyway: for the 116-win Mariners, Pat Gillick went out and got Lou Piniella four dependable relievers and dryly said, "Now he can use Sasaki and Paniagua one night, and use Mesa and Rhodes the next night." Those four guys were really all the decent relievers the Ms' had in 2001. Not sure what rules of baseball have changed since then. Maybe it's the max six visits per game that have required 8 relievers instead of four? We kid. A little bit. But if you look at Houston last year, they had one setup man and one closer, and what else do you see here? Well, Gregerson, but he had quite an off year. I'm fine with Altavilla :- ) in the #6 reliever role behind Diaz, Nicasio, Vincent, Pazos and Zip. And I'd still druther have Rob Whalen than Casey Lawrence in the #7. That's just me. Vincent has run aground two years in a row from overuse. Now he's exposed again when we were trying not to expose him again. Altavilla is interesting, but far...far from reliable yet. We need someone more dependable than Vincent...specially since I'm not a believer in Nicasio.